Shinkyo bridge locates at the entrance of holy site of Nikko. We, Asaya Resthouse stands by the Shinkyo bridge, and has clean and beautiful appearance. 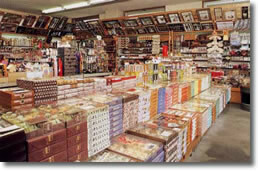 Also, we serve original dishes and souvenir at there. 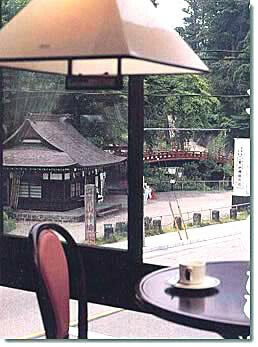 Enjoy magnificent view of holy forest and Shinkyo bridge from our three storied building. The most delicious springwater in Japan in accordance with a reputation. 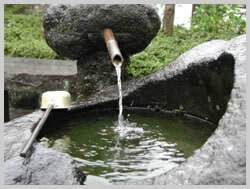 Priest Shodo, who started religious culture in Nikko, found the springwater at there 1200 years ago. Also, monks offered it to the God, or Buddha. The water source is from Mt. Nantai.